Douglas owes its name to Civil War-era Illinois politician Stephen A. Douglas—his monumental tomb rests here. Close to downtown and nestled right on Lake Michigan’s shoreline, Douglas has a location that any Chicagoan would envy. The Douglas community totes a glowing sense of togetherness, pride, and permanence—if you landed a home here, you’d stay here, right? Real estate ranges from regal gray and brownstones to vintage single-family homes to newly developed condo high rises. Whether they’re businessmen or artists or somewhere in between, all Douglas residents love taking in nature at one of the nabe’s numerous large parks, or right on the beach. 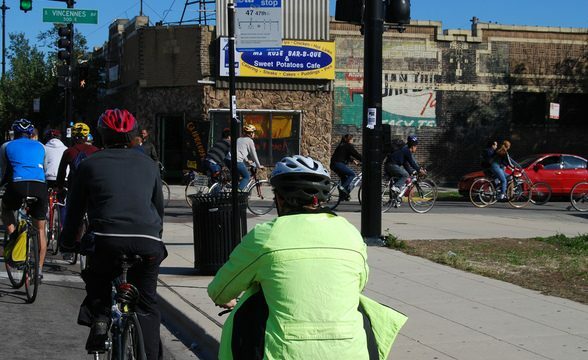 Douglas is home to three pocket nabes: Bronzeville, Groveland Park, and Prairie Shores. Douglas is a mixed general spot on the southside with several affluent patches. Douglas is a part of Bronzeville, or Bronzeville is a part of Douglas. It’s hard to say. 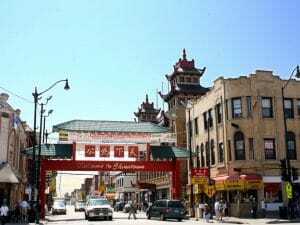 Here’s how I think of it: the areas steeped in history and blues, the streets lined with stately graystones — Bronzeville. The area with high rise condos with lake views, exclusive little developments, and the once-future site of the Olympic Village — that’s Douglas. The IIT campus, with its definitive mid-century modern architecture probably falls somewhere in between. 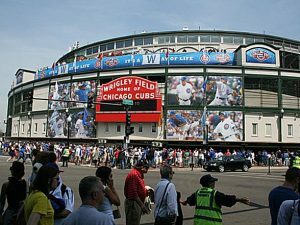 Douglas is an ancient and convenient nabe located just south of The Loop along Lake Michigan. A relatively small nabe, with its own pocket nabes for good measure, Douglas boasts far more amenities and parks than most nabes twice its size. 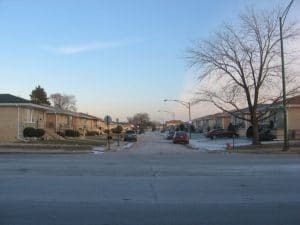 Real estate in Douglas is on the cheaper side of things for Chicago, and there is a wide variety of options. You could, for example, move into an late 19th century brownstone, or you could opt for a 21st century condo in a new high-rise. There are many other options as well. The dining options in Douglas are deep and varied, offering pretty much whatever a discerning resident could want at any given moment. Most of the restaurants are tiny family-run type places, and most cater to one specific ethnic style or even one specific dish. These small eateries, along with the general small-ness of the nabe have created a sense of community that is likely overwhelming for newcomers, but apparently integration is a fast process as the people from Douglas are well known for being kind and accommodating. There are three decent sized parks in the nabe, along with a Lake Michigan beach, in an area that is roughly two miles square. One of the parks, Woodland, contains the tomb of Stephen A. Douglas, the founder of the nabe who died in 1861. His tomb has stood the test of time in Woodland Park since 1881.